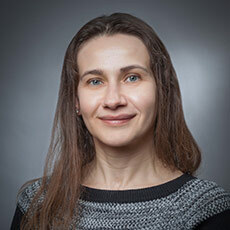 Zina Matlyuk, MD received her medical degree from the Penn State College of Medicine and completed both her radiology residency and fellowship training in musculoskeletal imaging at Penn State Milton S. Hershey Medical Center. Prior to joining L&M Radiology in 2010, she was Assistant Professor of Radiology and Director of Musculoskeletal Imaging at the University of Connecticut Medical Center. She and her husband live outside of Boston. In her spare time, she enjoys reading, sculpting, and drawing.